We specialize in offering Canada’s largest selection of seed potatoes to small scale home and market gardeners. We offer Canada’s largest selection of seed potatoes, with 35 varieties. Right here on our farm in Central Alberta, just outside the small town of Bowden. All our potatoes are grown without the use of any synthetic fertilizers, herbicides, fungicides or pesticides. 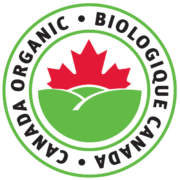 Currently we are working to Organic Certification. Where can you find our Potatoes? The easiest is to order directly from us, we ship to every province and territory in Canada. Click the catalogue cover to the right to be directed to our Online Seed Potato Store. 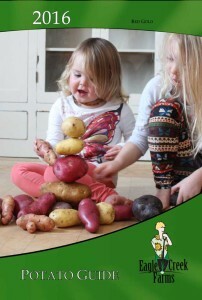 Below you can find a list of garden centres who also distribute our potatoes.